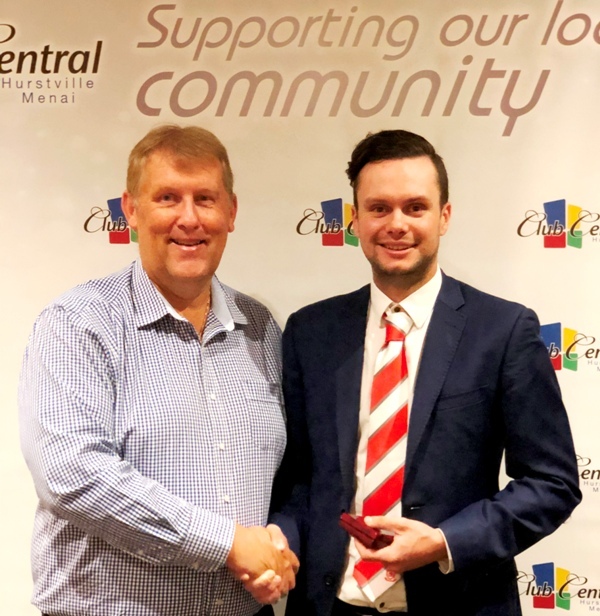 St George 1st Grade gun allrounder Nicholas Stapleton has taken out the Kerry O'Keeffe Medal for Player Of The Year for the 2nd consecutive year. As the Annual Players Night neared it's conclusion there were just 5 men still in the running in the countdown. They were Luke Bartier, Blake MacDonald, Andrew Walsh, Rod Krause and Stapleton. With a whopping 131.1 points, Stapleton was a clear cut winner over 4th Grade premiership hero Rd Krause on 92.9. Walsh came in 3rd on 92.8 over MacDonald who missed a portion of the season with a broken digit (81.2) and Bartier (79.4). Stapleton has had an outstanding couple of seasons and seems to be going from strength to strength. Across all formats in 2018-19 he scored 986 runs at 51.9 including 3 centuries, the last of which broke a record for the highest limited overs score,170* off 166 balls. He also claimed 22 wickets and took 14 catches. All this whilst taking on the added responsibility of skippering the first grade side when Trent Copeland was not available. A remarkable young man and cricketer (please take note selectors). The night was well MC'd by Club Captain Andrew Pandelis and Paul Francis and included tributes to the Premiership 4th Grade side lead by Steve Wark as well as presentations of no less than 18 framed century scorecards and 11 mounted match balls for 5 or more wickets including Andrew Walsh's amazing 9-28 in Round 14. Two Hat -Tricks trophies were also presented to Dylan Bennett and Tom Ortiz. Thank you to St George DCC chief sponsor Club Central for its wonderful hospitality.